I just started a new book called, The Young World, by Chris Weitz. 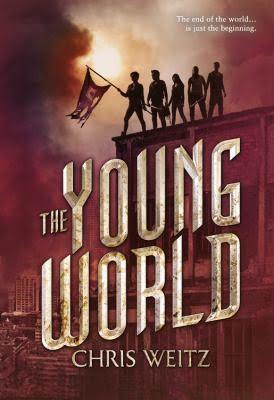 It's my favorite genre, young adult dystopian novels. It looks like it's going to be a series as the second book is listed on the author's website. The story takes place in New York City after a disease has killed off all adults and all young children, leaving the teenagers to fend for themselves. I'm not sure I want to say more than that in case you want to read the books. I will say that the narrative bounces back between two main characters: Jefferson and Donna. I am enjoying the writing and the storyline and am curious to see where it leads.